A conceptual design of the Canaan Parish redevelopment showcased at a Planning and Zoning hearing July 31, 2018. NEW CANAAN — Saying the gateway into New Canaan deserved better residents of Canaan Parish, the affordable housing community on Lakeview Avenue slated for a rebuild, weren’t happy with the look of the new redesign. Planning and Zoning officials called the conceptual design of the project “bland” and a deviation from the town’s established style. 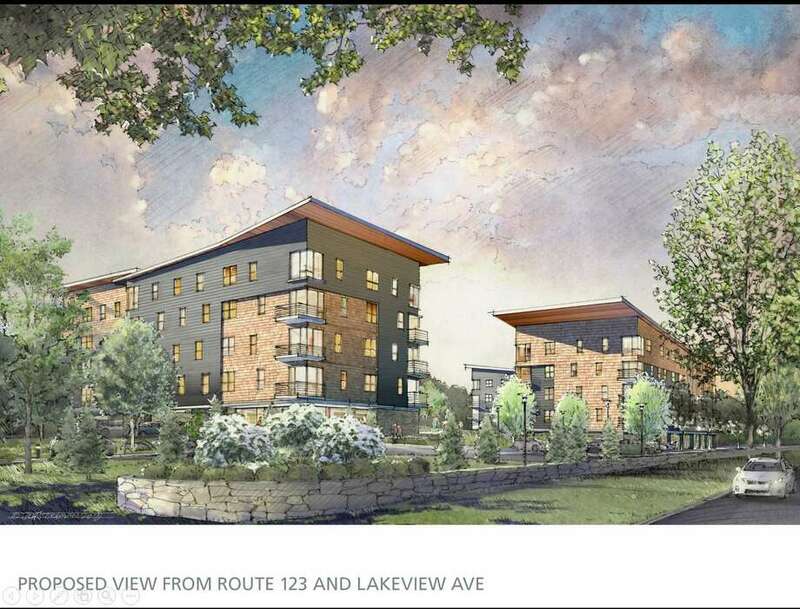 The renovation project of the affordable housing community on 186 Lakeview Ave., slated to take three years to complete if deadlines are met, is expected to include a building with 60 units and another with 40 units. Additional features include 150 parking sites, 37 covered parking spaces as well as a playground area for children who reside in the complex. But the focus of the commissioners and the public, which included Selectman Kit Devereaux and residents of the affordable housing community itself, was centered on the building’s exterior. “We have a problem with the appearance of this. The way it looks, it doesn’t look like a New Canaan building,” Papp said. Members of the town’s Housing Authority and other companies involved in the planning and architecture of the proposal defended their work against a barrage of criticism from commissioners, residents and town officials alike. Brown added that the group had taken into account the addition of extended balconies and roof overhangs after a previous project rendition was publicly released a month ago. Devereaux, who started off by thanking the Housing Authority’s work, critiqued the architectural style of the building as well. “The irony is that the proposed development is what the community fears from outside developers,” Devereaux said. Scott Hobbs, chairman of the Housing Authority, described the lengthy process of planning the redesign while taking into account input from the public. Hobbs also emphasized that the redesign project was an important step to help the town obtain its second 8-30g moratorium — a way to prevent private developers from bypassing town zoning laws if they pledge to establish a certain percent of units for affordable housing in their projects. The Housing Authority alluded to a September deadline necessary to request funding from the state if the town is expecting to work towards obtaining its second 8-30g moratorium. Goodwin decided to give the Housing Authority more time and will continue the hearing for their meeting next month. Hobbs said that the team would still be working on the design and would be incorporating input from the community and commissioners into the project. “This is change, this is uncomfortable but we need to keep an open mind and work towards an improvement,” Hobbs said.